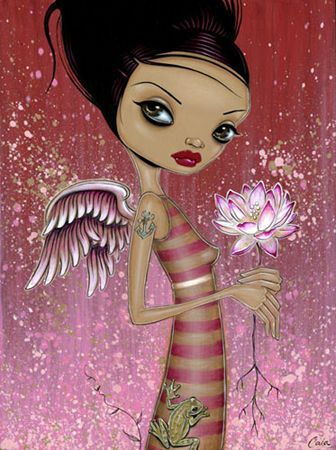 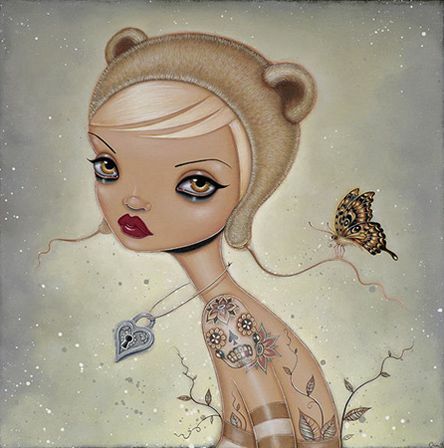 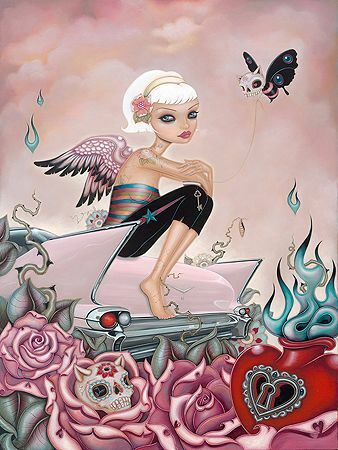 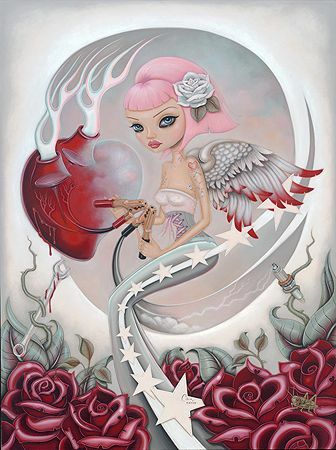 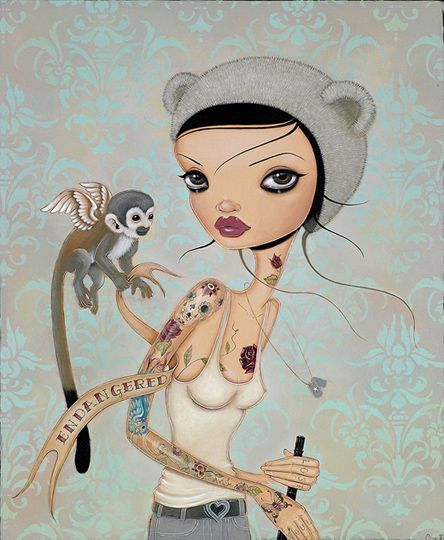 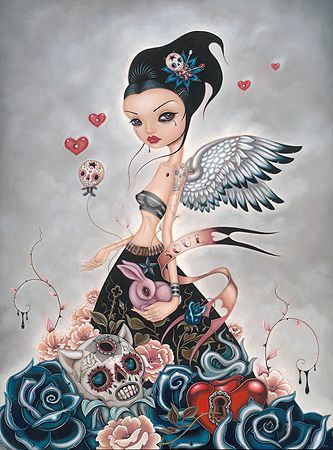 From the land of surf and sea, Caia Koopman has emerged as one of lowbrow’s preeminent female artists. 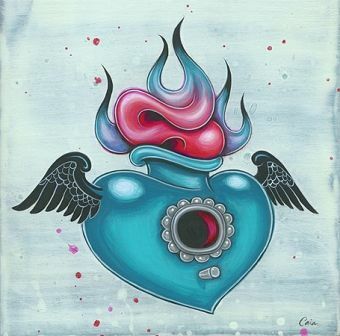 With a well-rounded background from her years spent obtaining her BA in Fine arts from UC Santa Cruz, to her time spent in the skateboarding and snowboarding scenes, Caia’s environment has both molded and provided an eclectic background that makes her paintings come to life. 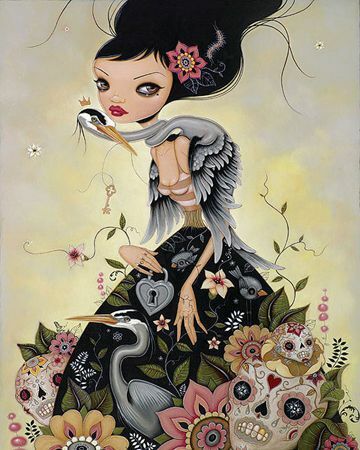 With her fine detail for beauty, inclinations toward nature, and collectiveness of the female spirit, Caia has quickly become one of the quintessential artists fully encompassing the elegance, strengths, and vulnerabilities of femininity. 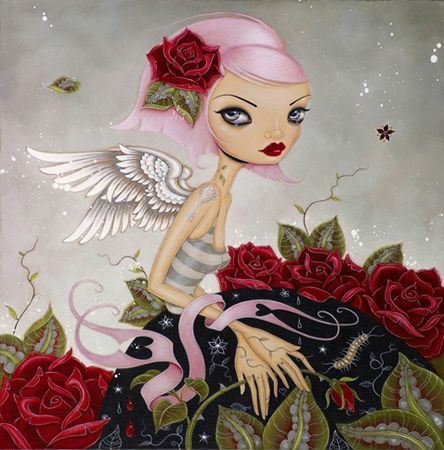 Her work is alluring and has a hint of whimsy. 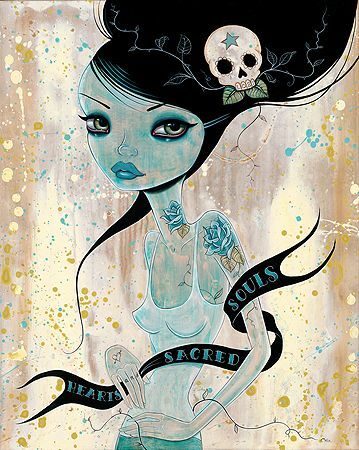 It delves into the fascination of women, in both our conscious and subconscious ideals of the feminine role in society. 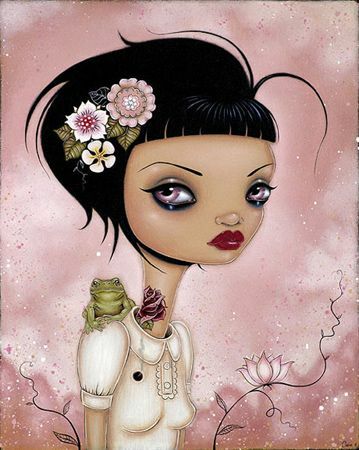 Caia consistently submerses herself in subject that matter that is ingrained and full of cultural connotations. 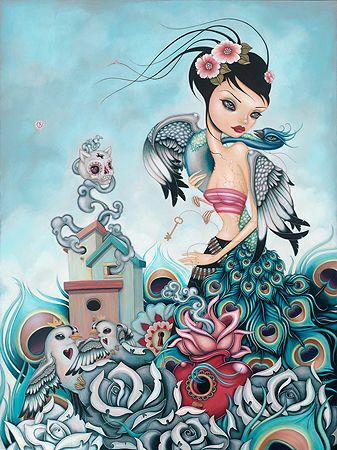 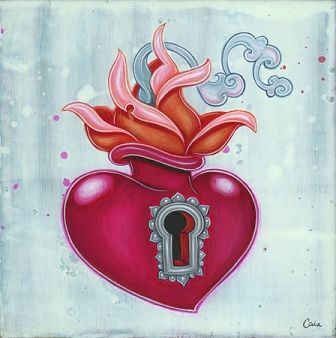 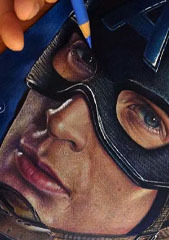 Caia’s work is infused with a variety of cultural, political, environmental, sociological, and dreamscape references. 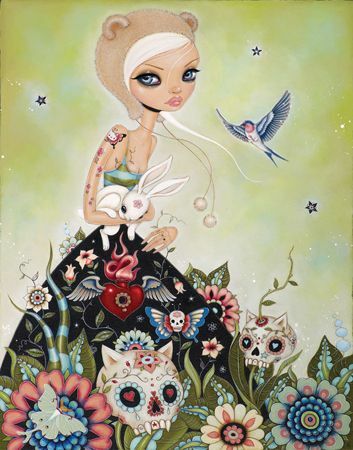 Her influences serve as an amalgamation bringing her world to life through deliberate references and reverent imagery, with the finished work deriving strength and beauty from the artist herself. 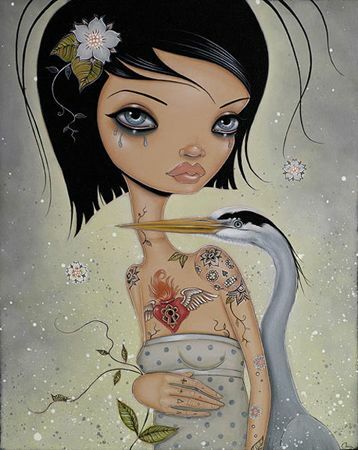 Her playfulness in her brush strokes is a constant struggle with the reality and solidity of the paint itself which comes across in her work as complimentary forces bringing together a gorgeous and powerful masterpiece.